Cambodia had been witnessing a long unrest with unions fighting for over 70% increase in wages. After months of discussions, unrest and problems, the govt. finally decided to increase the minimum wages by about 28%. The minimum wages in Cambodia had been US$100 and and unions had been fighting to increase them to $177 per month. However, this huge increase was not acceptable to the Labour Advisory Committee of the Govt. which gave a recommendation to increase it to $123 . This amount was increased by the Labor Minister by $5 to $128 . The unions had demanded $177 but had mentioned that anything less than $140 was unacceptable. It remains to be seen whether the current declaration will lead to further protests or will the workers accept the amount. The govt. has been reluctant to meet the union’s demands as it fears relocation of factories out of Cambodia. The textile industry is big in the country’s economy with about 500,000 workers employed there. Any major increases can swiftly affect the industry. Cambodia ,even after the increase, has one of the lowest wages in the world. How is the increase in wages going to affect the denim industry in Cambodia ? The increase is surely going to increase the costs and reduce the margins for the producers and may increase the final prices which may or may not be very palatable to the buyers. We have already seen before that the average price of jeans from Cambodia to EU is more than that from countries like Bangladesh . The impact of current increase would be further affecting the prices. 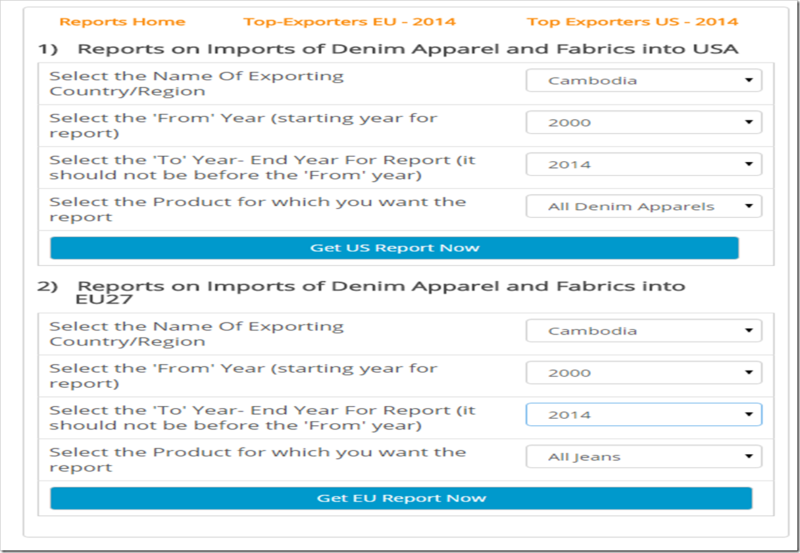 Lets take a look at the exports of jeans and denim apparel into EU and US from Cambodia in the period 2010 –2014. We will see the quantities , average prices, values and volumes in this period in the tables below. 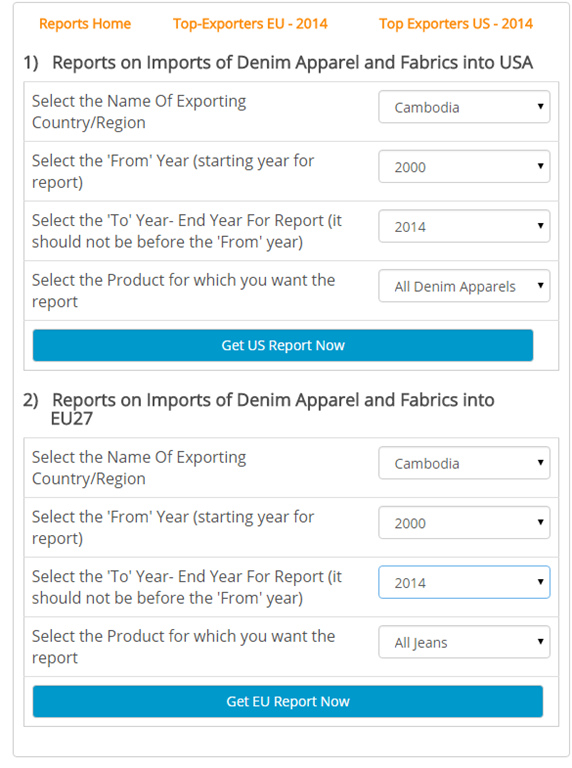 Also we compare the prices from Cambodia with that of average prices of denim from around the world and also with select countries to see where Cambodia stands currently in terms of its pricing competitiveness. We also see whether US or EU is going to be its main focus market in terms of prices, volumes etc from our data bank.